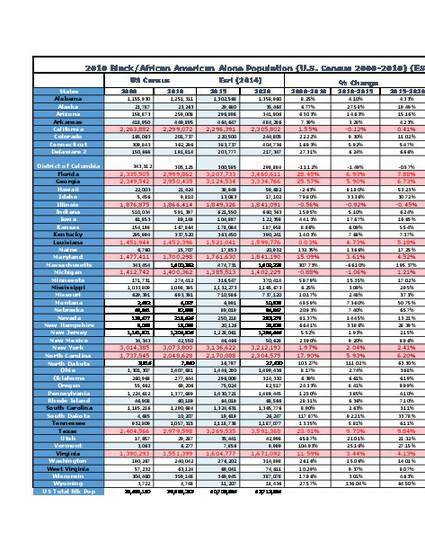 "Tables on Black Alone population in the US States _ Geography States _ 2000 to 2020" by Michael A Rodriguez, Ph.D. Selected Works of Anthony M Rodriguez Ph.D.
Information demonstrates black alone population based on 2000, 2010, 2015, and 2020 predictions. Contact Anthony M Rodriguez Ph.D.